Growing your blog is not very easy, but it is not that difficult either when you know what to do. Here are some digital marketing strategies for you to grow your blog. They are many reasons why one may want to start growing a blog. 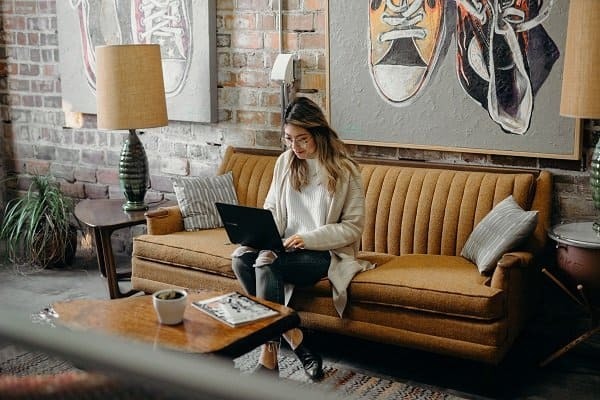 It means more blog income, maybe it’s a way to secure more clients for services you may offer and it’s a great way to connect with other people. A few ways you can start growing your blog is to listen to inspirational podcasts, grow your email list and generally work harder on your online business. But before we get started on other ways you can use for growing your blog, we would love for you to join our growing Facebook group right here! Be sure to give us a quick follow on Instagram as well! If you are thinking of growing your blog and your blog readership, we hope these 5 tips below will help lead you on the right track. By implementing the strategies listed below, you will see an increase in blog traffic right away. Growing your blog is easy, but you need to build a connection with your readers first. If you have lots of authors on your blog, the number of comments and engagement might decrease because your readers will not really know who to connect with. It’s absolutely amazing when you let your readers know that you need to read their feedback as much as they want to read your blog posts. Start building a connection with your readers where they can have an environment to tell you what they like and what they dislike. Your biggest traffic days will be the ones where you cover some major events within your niche. You will notice that most of the viral videos or pages are talking about or doing something that is already trending. If a musician wants to go viral, s/he can make a cover of a song that just got released. People want to know about the things that everyone is talking about. If you are a fashion blogger, talk about the fashion and styles that are currently trending. And if you are an influential speaker, talk about topics that people are having trouble with. For example, talk about the problems millennial face such as jobs, studies, and how to balance them. Reviewers can review the things that are trending. For example, if you review films, review the ones that have just come out and the general public is hyped about them. If you review games, go after the ones everyone is talking about. Find the games that are on the top these days. The thing about surges is that even when they are over, your traffic will still be higher than it was before. All you need is one topic, article or video that can get enough attention, and after that people will begin to notice your work. If you want to cover the trending topics, you can use Google Trends for that. This tool will let you know about the topics that are trending. You also cannot just write about any topic that is trending; choose the one that is relevant to your niche. With Google Trends, you will get a good idea about the search volume. Partnering with other bloggers and entrepreneurs who are somehow related to your field is a good idea. You can ask people who are struggling and also want to increase their visitors and views to partner up with you. While SEO and social media play a huge role in marketing our blogs, partnerships can bring astounding results. You can gain many visitors per month with the help of partnerships, and you will be able to do it without spending a penny. You can find the right blog networks online or in Facebook groups and partner up with them. Continue doing it with several networks until you can get a substantial traffic increase. Do not stop with blog networks. There are other blogs that would be happy to share your work on their blog, and in exchange, this will drive the traffic back to your site. It is a kind of mutual benefit where both are getting something out of it. Many popular blogs are always looking for more content, and if you provide it to them, they will link back to your site, which will provide you with thousands of visits. In order to get these partnerships, just keep on reaching out to the popular blogs in your space. Many of them may not accept your content or will not let you join their network, but there always be one that will agree to it. Growing your blog requires you to build natural backlinks. I found the easiest way to build great authentic backlinks is by using this book! The more quality backlinks you can get, the more blog traffic you will get. Most of the traffic that you will gain will be from your social media sites. Your blog posts will not reach everyone, simply because they cannot, or many people do not know about its existence. Those people will be on the social media, or at least most of them and that is where you can let them know of your work. For this, you have to build up your social profiles with the help of some strategies. Try to maximize your Twitter traffic, accept the friend requests you receive on Facebook and make sure that you are publishing your posts during the peak hours. Peak hours are the hours when you get the most social engagement. It might take you 6 to 9 months to see consistent traffic on your blog. Focus on the major social media sites and leverage the smaller ones. For example, some social sites would only focus on the marketing niche. The traffic may not seem like a lot in the beginning, but it will make all the difference. Here are at Ladies Make Money Online, we focus on Pinterest the majority of the time. You can see how we were able to increase our Pinterest Followers on this post! And if Instagram is your jam, find out how to get real Instagram followers here! Be sure to join this free Pinterest course to build quick traffic right away! Writing in a conversational tone is much better because readers can comprehend the content easily. Plus, this way you can convey your thoughts in a more better and natural way and your users will feel like you are talking to them directly. You can use the tricks like ‘top commenters’ to boost your numbers, but when your blog posts sound like a conversation and not an essay, more people will be inclined to comment on your posts. You can create that effect by using the words you and I, asking questions, writing in a simple way, and keeping your paragraphs to the point and short. Comments are what will create your readers’ loyalty, and when people continue to comment on your blog, that means that they are actually reading your content, and not scrolling down. People will also share your content through the social web if they relate to your post. Growing your blog may take time, and you will have to be patient until you start seeing the results. Have a wonderful day! 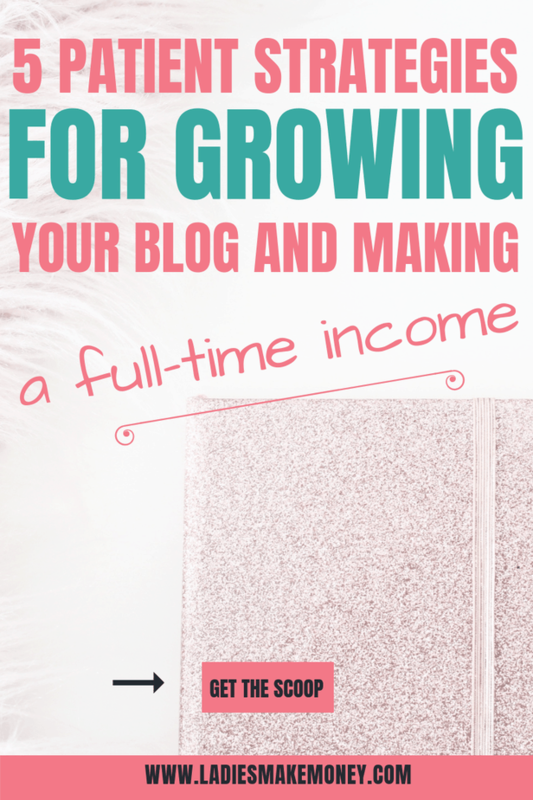 Have you started growing your blog yet? If so, what are you doing to see growth? We would love to hear from you. 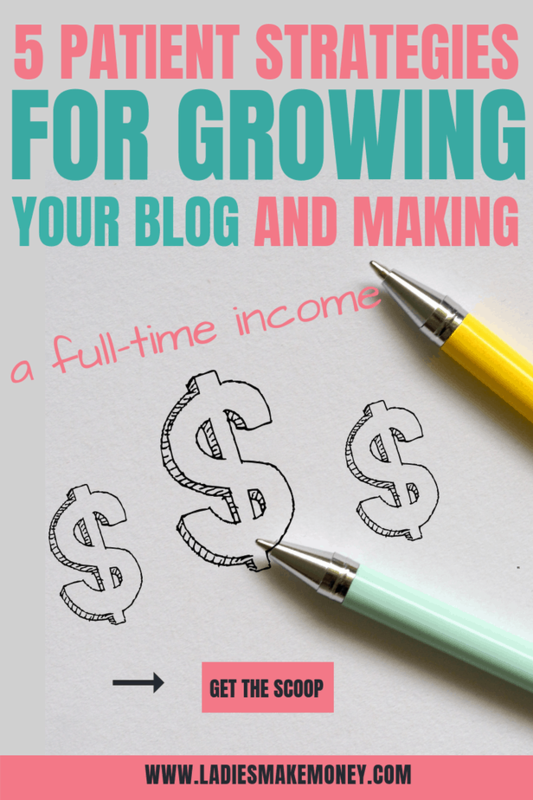 So many of the blogs talk about earning $5K in your first month and getting 200K followers on Pinterest so easy. I don’t think it is easy or quick, but it helps their traffic and sales to get people to click, so more power to them. I’m a newbie, learning information and reading as much as I can. Thanks for the tips! I’m very new to the world of blogging & it sometimes seems insurmountable, but I’m slowly getting the hang of it & these tips are great! Will try & implement them into my every day-thanks! Connections are definitely important when it comes to blogging! Thanks for sharing these strategies with us! What a great reminder that it takes time for our biz and blog to grow! It can be hard to wait, but it’s worth it, haha! And I totally agree about making connections…it’s probably had the biggest impact for my own biz. I am working on growing my blog and working on my engagement so thank you for all the helpful tips! Thanks so much for breaking it down so simply and including so many resources! I feel very educated and supported!